Following a field trip to northern India, World Land Trust (WLT) staff are satisfied that the Chilkiya-Kota Corridor project is moving forward. UPDATE: The following button will now take you to the donate to Action Fund page. Once secure, Chilkiya-Kota Corridor in Uttarakhand will provide a safe route for tigers and elephants moving between Corbett Tiger Reserve and Ramnagar Division Forest. WLT is working in partnership with Wildlife Trust of India (WTI) to secure the corridor with funds raised through the Big Cat Appeal. 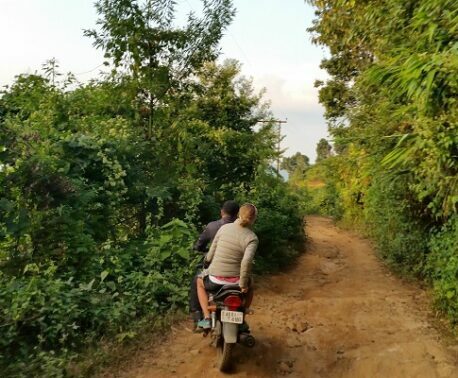 David Wright, WLT’s Head of Programmes, and Roger Wilson, WLT’s Senior Conservationist, visited Chilkiya-Kota Corridor in December 2014 to check progress. The route of the corridor crosses the Kosi River, where the settlement of Sunderkhal is overshadowed by steep hills on both sides of the river. Protecting the corridor is a complex process because it involves voluntarily relocating residents away from the corridor to land and houses elsewhere. This means that a large number of stakeholders and government departments are involved. “This is by no means a straightforward project, but we are making steady progress,” said David. Effective wildlife conservation in areas of human population requires balancing the needs of people and wildlife. In complex situations such as this one, the process can take years, even decades. The protection of the corridor is urgently needed. According to the latest WTI data, five or six tigers regularly use the corridor and, since 2010, seven people have been killed by tigers in the area. In addition, India’s 2014 tiger census indicates that the number of tigers in Uttarakhand is increasing due to improvements in wildlife protection. During the monitoring visit, David and Roger saw several fresh tiger pug marks close to the river, adjacent to the settlement of Sunderkhal. 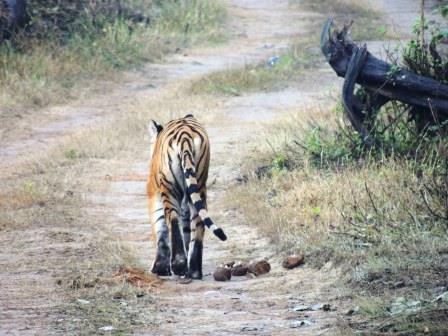 They also saw two tigers in Corbett Tiger Reserve at a distance of some 30 metres. The sighting was recorded on film by Sandeep Kumar Tiwari, WTI Deputy Director. According to WTI’s rangers, tigers are seen almost daily within the reserve. 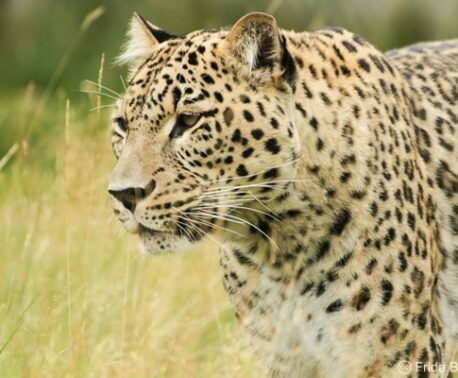 Funds for the corridor are being raised through WLT’s Big Cat Appeal. Launched in 2014 with a target to raise £500,000, the Big Cat Appeal is funding a number of projects to conserve big cat habitat in Asia and Latin America.